Another incredibly talented Texas Longhorn basketball team is going home early, this time, after the Round of 32 game (I can’t call it Round Three yet) against Zona. The Longhorns slept their way through the first half, woke up in the second, but lost their minds with a few seconds left and the lead. By now, everyone knows the Texas Longhorns got hosed by the selection committee. After beating UNC, Michigan State, Kansas at Lawrence, Baylor twice and A&M three times? Granted, we also lost late in the season to Nebraska, Colorado and Kansas State. But the complete lack of respect is stunning. I could understand a three seed, although I thought we had done enough for a two seed. I've got a good friend names Steve. After growing up in San Antonio, he went to school at Duke. He's a calm, quiet-spoken fellow, until you get him talking about Duke basketball. He instantly turns into a rapid Duke fan. It must be something they put in the water there. 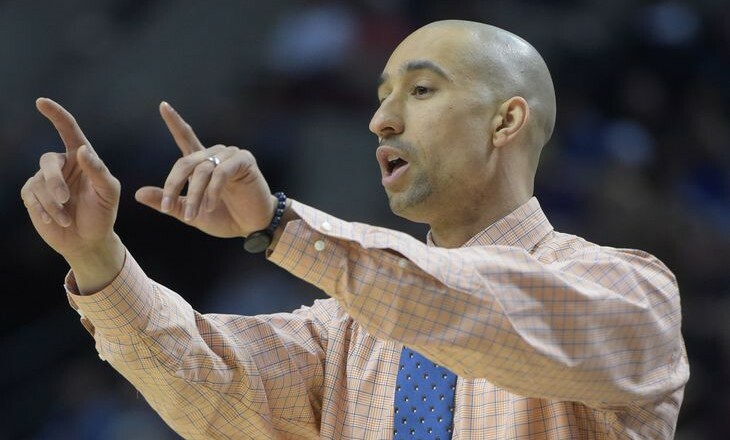 Texas overcame a ten point first half deficit to run away from Minnesota and win 76-62. While a fairly solid performance top to bottom by Texas, the star of the night was without question A.J. Abrams, who scored 26 points, including eight from behind the arc. Big Dexter Pittman continued his surge with 17 points and 11 rebounds. Damion James recorded 18 points and nine rebounds. With the tip-off of Texas's first round match up against Minnesota about a day away, here are some links to previews of the game. With the loss by Baylor in the Big 12 Championship game Saturday, Texas should be on the correct side of the bubble for the NCAA playoffs. The Longhorns should be the fifth or sixth team taken from the conference. Given some luck, we'll get a #6 seed, although I suspect a #7 is more likely. The pessimist in me worries that we're looking at a #8 or #9. Alliteration in the title means it's an extra fine blog post, right? Baylor's upset victory over Texas Friday night extends an impressive run in the Big 12 Tournament. With one more win over Missouri in the final Saturday, they gain an automatic bid into the Big Dance.